Hajj and Umrah require a great deal of physical exertion. The rituals of Hajj, in particular, can be very taxing on the body. This compounded by the hot weather and being among hundreds of thousands of other pilgrims at the same time, often in limited spaces, highlights the need of being in good physical shape prior to your journey. Those who exercise regularly or partake in physical activities in their normal day to day lives will be better equipped to cope with the rigours of Hajj and Umrah whereas those who lead a sedentary lifestyle and exercise very little need to make a concerted effort to get into shape before departing. To understand the importance of being physically fit, you need to look at how physically active you will be during the entirety of your Hajj or Umrah. Depending on your package, your hotel may be close to the Haramain in Makkah and Madinah or it may be further away. The further it is, the more walking you will have to do and there’s also the chance that you’ll have to negotiate roads that are uphill. 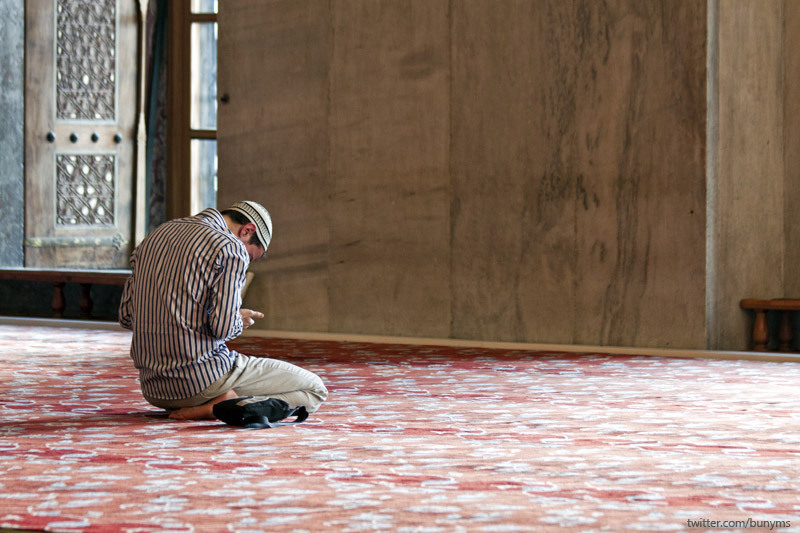 If you plan on performing the five daily prayers in the Haram, as you should aim to, then going back and forth from your hotel may prove quite challenging, unless you plan on staying in the Haram between each prayer. Getting to your room in your hotel may also be quite challenging. If your room is situated on one of the upper floors and the hotel doesn’t have any escalators, you’ll find yourself frequently having to navigate a flight of stairs to get to your room. Make sure you find out the distances from your hotel to the Haramain and the details of the hotel itself from the travel agent prior to booking. Tawaf, an integral part of Hajj and Umrah, will require you to perform seven circuits of the Kaaba. If you’re performing Umrah and the crowds are sparse during Tawaf, you’re looking at walking a distance of at least 200 metres per circuit, coming to a total of at least 1.4 kilometres for the entire Tawaf. 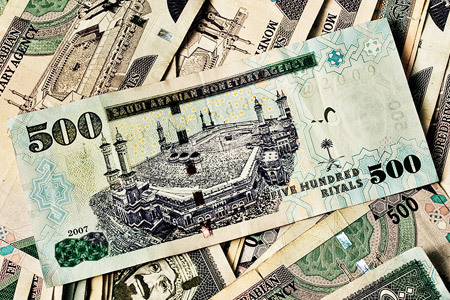 With a sparse crowd, outside of Hajj season, this can take approximately 15 to 20 minutes to complete. However, during busy periods, especially during Hajj, the area around the Kaaba can become extremely crowded with people performing Tawaf. 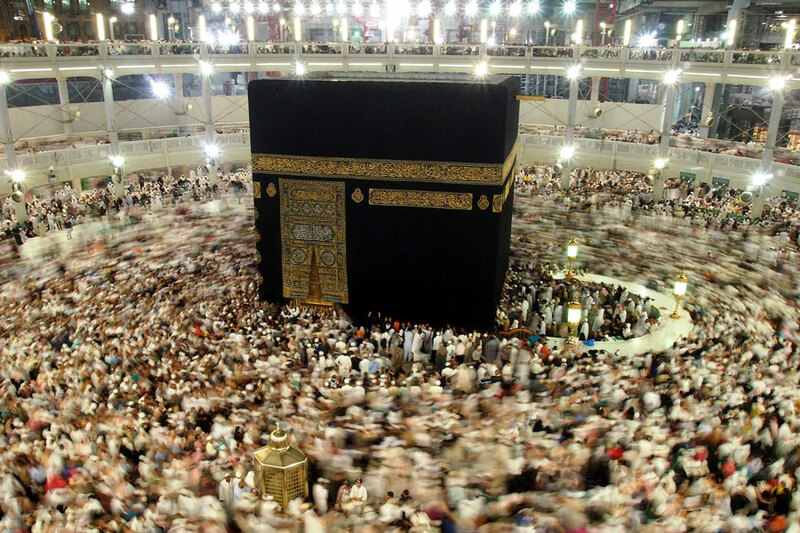 During a busy period, the distance of one circuit can increase to between 400 and 500 metres, making the Tawaf about 3.5 kilometres long. Walking with a crowd can be very tiring and can cause muscle cramps as a result of taking short steps over a long distance. If you want to avoid the crowds, you may choose to carry out Tawaf on the roof level of Masjid al-Haram. Performing Tawaf on the roof is, on the whole, a more comfortable experience, although it also has the tendency to become crowded at peak times. The length of one circuit at this level is approximately 2 kilometres, so the Tawaf will obviously take a lot longer to complete owing to the greater distance that needs to be covered. 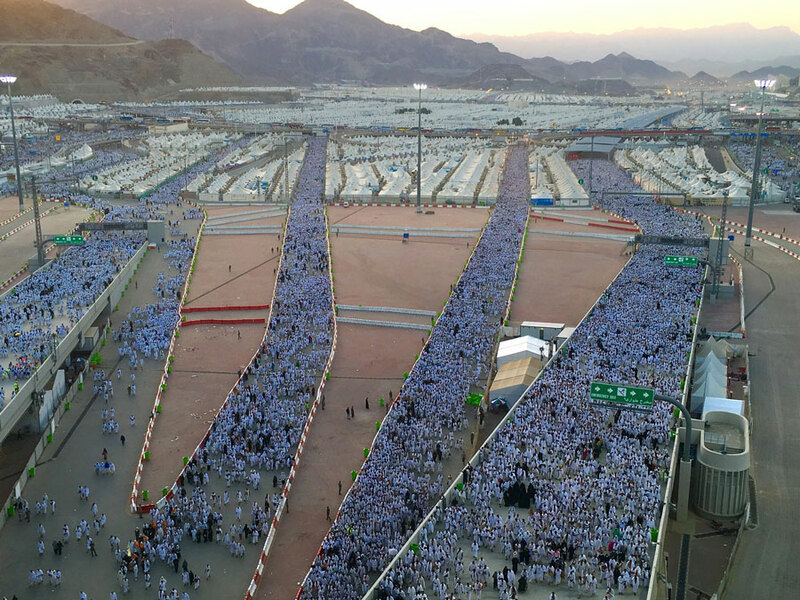 During Sa’i, the distance between Safa and Marwah is approximately 450 metres, with seven circuits amounting to approximately 3.15 kilometres, taking about 35 to 40 minutes to complete. Although you should take the bus whenever possible, there will still be a significant amount of walking involved. There may also be a fair distance from your bus to your accommodation, depending on how close the bus can get to your tent. You may find that buses may not be able to get anywhere near your tent as a result of crowding and congestion, leaving you no other option than to walk. If you elect to conduct your entire Hajj by foot, keep in mind the distances and time it would take to walk between each site. On the 10th of Dhul Hijjah for instance, distances between sites will amount to at least 20 kilometres, which would take at least four hours to traverse. Adding to this the rites of Rami, Tawaf and Sa’i that must be performed between all the walking, you begin to appreciate the need for being prepared physically. One of the easiest forms of exercise and one that you will be doing a lot of during your journey is walking. It is an effective way of improving stamina, respiration and heart function and is less strenuous on the body than other exercises such as swimming and running. About 3-4 months before departure, start a programme of walking. Walking should start slowly, covering short distances initially for about 20-30 minutes, 3-4 times a week. Gradually increase the speed and distance until you’re walking briskly or jogging to cover between 5-6 kilometres at a time. Walking up hills and inclines will also be of great benefit as you will no doubt encounter these during your journey. The aim of this programme is to gradually improve the body’s aerobic capacity, which is the ability to use oxygen during exercise. You may also want to start reciting Talbiyah along with other prayers and supplications during your walks in preparation for your journey. As well as walking, incorporate other exercises to help prepare you for your journey. Since you will be walking a lot, it is imperative that you pay attention to your lower body muscles and hips. Incorporating a stretching routine which helps release tension in your hips and legs can be invaluable, especially if you’re someone who’s used to an office lifestyle. If you’re overweight, you should aim to lose as much weight as possible before departure. Poor footwear often leads to problems during Hajj. It is not uncommon to see people with blisters or swollen feet and ankles as a result of poor footwear. Therefore, it is vitally important to use the correct footwear. It is generally not a good idea to buy a new pair of shoes for Hajj. New shoes require wearing in i.e. worn to the point they become better fitting and more comfortable. Shoes that haven’t been worn in may cause pain and discomfort. Therefore, you should stick to a comfortable pair of shoes that you have already been wearing. If you don’t have suitable shoes, buy a pair well in advance and wear those shoes while walking or exercising so they can be worn in. Whilst you’re in Ihram, your ankles and the top part of your foot (around the shoelace area) need to remain uncovered. Therefore, a flat, soft pair of sandals is recommended. These are ideal for going to and from the mosque and are much easier to carry in your hands whilst in the Haram. It’s also worth taking a pair of trainers / sneakers which may be worn when you’re not in Ihram. This type of footwear is ideal for performing Rami as they provide grip and balance. You should avoid wearing trainers / sneakers to the mosque as they can often be quite bulky and may well get lost in the Haramain. Note: You won’t be able to wear trainers whilst performing Rami on the 10th of Dhul Hijjah as you will still be in a state of Ihram (if you’re male). Before you depart, adopt a healthy, well-balanced diet and try to eliminate foods that are detrimental to your health. Increase your consumption of plant foods such as fruits, vegetables, whole grains and nuts and limit your intake of fatty foods. Follow the example of the Prophet ﷺ in eating healthily and in moderation. Not only is a well-balanced diet beneficial for your physical health, but it is also essential for your mental and spiritual well-being.